Giving Back belongs in every American home, not just every home of Americans of African descent. 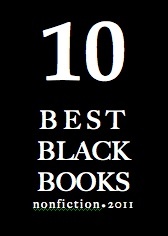 Each page connects the readers and the children they love to generosity that God, the Declaration of Independence and our awe-inspiring Black forebears taught us all . . . . A visual triumph. A story that has not been told! 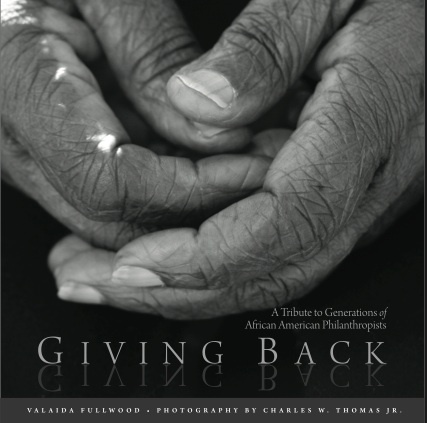 Giving Back: A Tribute To Generations of African American Philanthropists (ISBN: 978-0-89587-564-8) celebrates the giving spirit and vibrant philanthropic traditions among Americans of African descent. Rarely acknowledged as philanthropy, centuries-old cultural customs and beliefs nevertheless continue to have an impact on lives and communities. Images and narratives of more than 200 people commemorate the legacy of black philanthropists—from generous donors of wealth to ingenious givers carving a way out of no way. Photographer Charles W. Thomas Jr. beautifully captures images that portray the joy, aspiration, remembrance, and resilience that characterize black philanthropy. 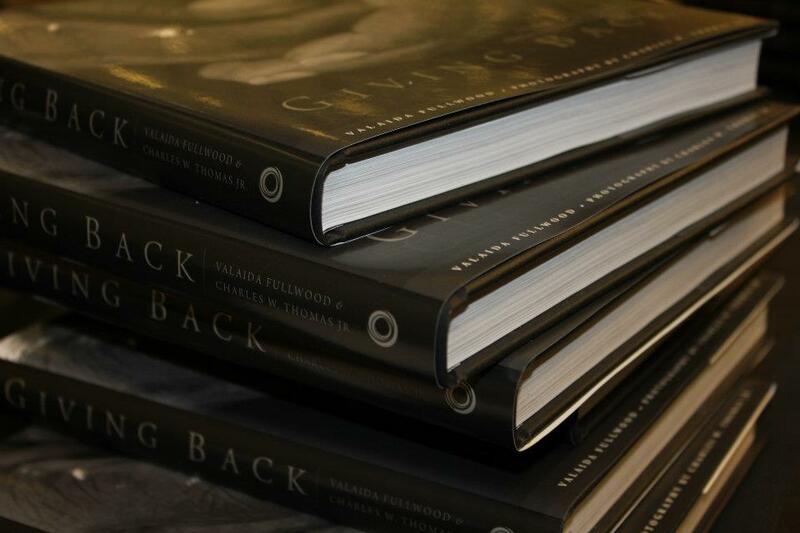 Pairing photographic portraiture and narrative, Thomas and Fullwood give readers over 160 artful page spreads that enliven the soul of philanthropy and honor the legacy of America’s black philanthropists. 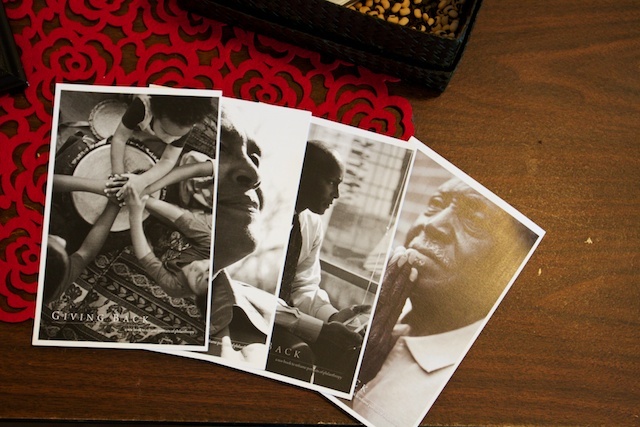 A perfect gift book, Giving Back offers wells of inspiration for generous souls and lovers of photography, culture, and humanity. Every book purchased will keep giving, since the proceeds will be invested in philanthropic causes—and since the stories themselves will inspire readers to give. 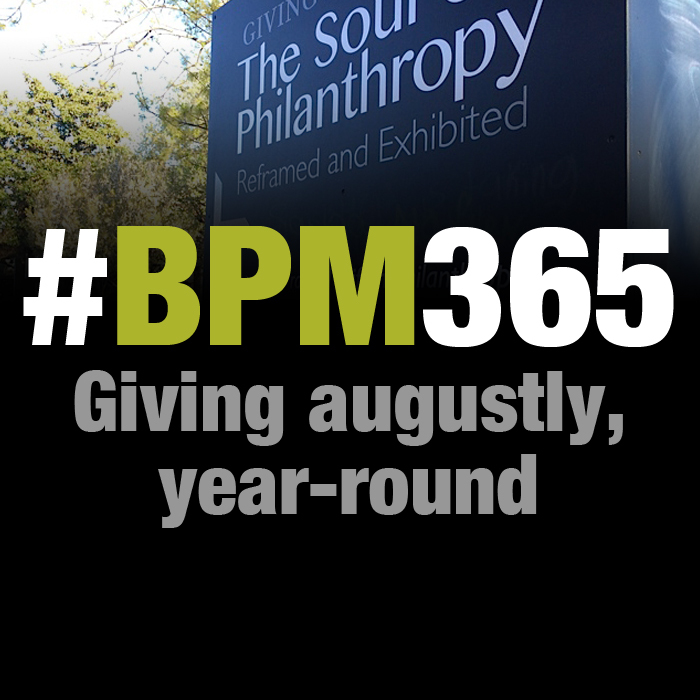 This philanthropic book project is in pursuit of the mission of the collective giving circle New Generation of African American Philanthropists—a giving circle that gives back. It was made possible by the generous contributions of 80 individual donors and nine sponsoring partners, which include: Foundation For The Carolinas, John S. and James L Knight Foundation, Harvey B. Gantt Center for African-American Arts + Culture, The Duke Endowment, NCGives, Charlotte Post Foundation, Piedmont Natural Gas, Community Investment Network and Blue Cross and Blue Shield of North Carolina Foundation. Giving Back is like chicken and dumplings for the giver’s soul . . . warm, familiar and filled with rich and nourishing content.